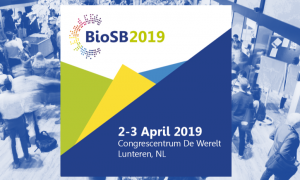 The 5th Dutch Bioinformatics and Systems Biology conference (BioSB 2019) will be held on April 2-3 at Congrescentrum De Werelt in Lunteren. You can submit an abstract for an oral presentation in one of the parallel topical sessions at the conference. The extended submission deadline is February 8! 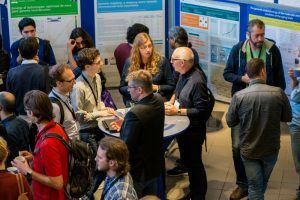 The BioSB 2019 is organised by the BioSB research school together with the Vrije Universiteit Amsterdam. The conference discusses the latest developments in bioinformatics, systems and computational biology and interrelated disciplines, and their wide-ranging applications in life sciences & health, agriculture, food & nutrition. The conference will feature keynote lectures, parallel sessions featuring selected and invited talks, breakout sessions, a HotTopic session, poster & demo sessions, network breaks and a conference dinner and social event. Submissions about other services and infrastructure for researchers in the life sciences are also welcome! Extended abstract submission deadline is February 8 (noon)! Find more information about the abstract submission here. Or visit the conference website. Registration is open! This entry was posted in General, ELIXIR, Event and tagged ELIXIR-NL, genomics, bioinformatics, systems biology, community.